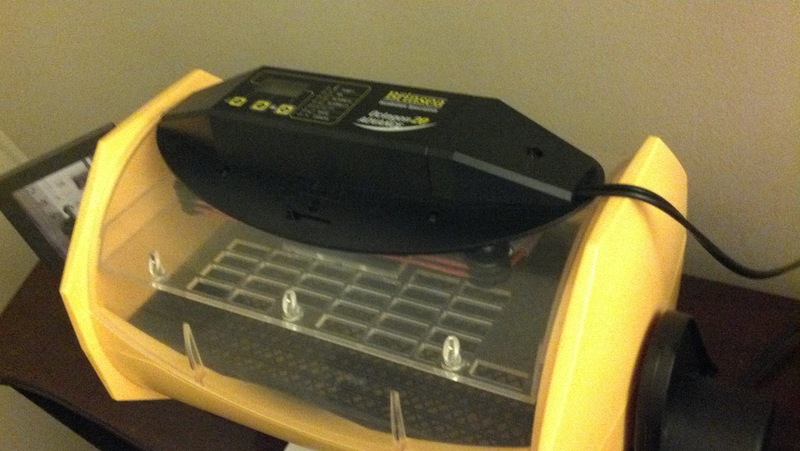 Now that the holidays are slowing down a little, we are looking forward to breaking in our new Brinsea Octagon 20 Advance egg incubator. We are getting fertile eggs from two sources – 6 White Leghorn eggs from one breeder and 5 Ameraucanas, 5 Marans and 5 Light Brahmas from another breeder. We are choosing chicken breeds this year based on several factors: Good egg layers, egg color (we like a variety of colors in our cartons), temperament, good foragers (we free range a lot), and suitable for our warm climate. Having birds that are dual purpose (suitable as both layers and meat birds) is also a plus. Even though we currently only keep chickens for eggs, it’s nice to have the meat use option for extra roosters and such. This will be our first journey in hatching eggs instead of just buying chicks in the spring. Hatching our own is allowing us to start them sooner, get them out of the brooder sooner, get them laying sooner, and hopefully integrate them into the main flock before late summer. Fewer flocks = easier upkeep. We plan to get all the eggs in the incubator on Saturday Dec 31 and look forward to hopefully seeing some start to hatch on Saturday Jan 21 (21 day incubation for chicken eggs). We did a test run with the incubator empty this week to make sure the temperature and humidity would stabilize (and it did… this incubator makes it easy so far).